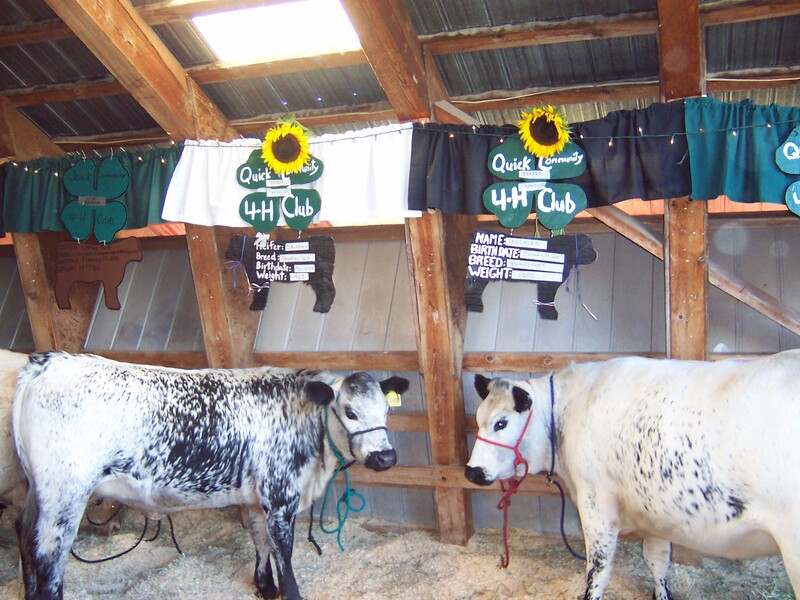 At Diamond K Ranch we pride ourselves in being proud members and supporters of the 4-H program. Our oldest daughter Kayla was in 4-H for three years and is now alumni. We are looking forward to our granddaughter Isabella starting cloverbuds in a few years. Our youngest daughter Jessie is in her seventh year of 4-H. 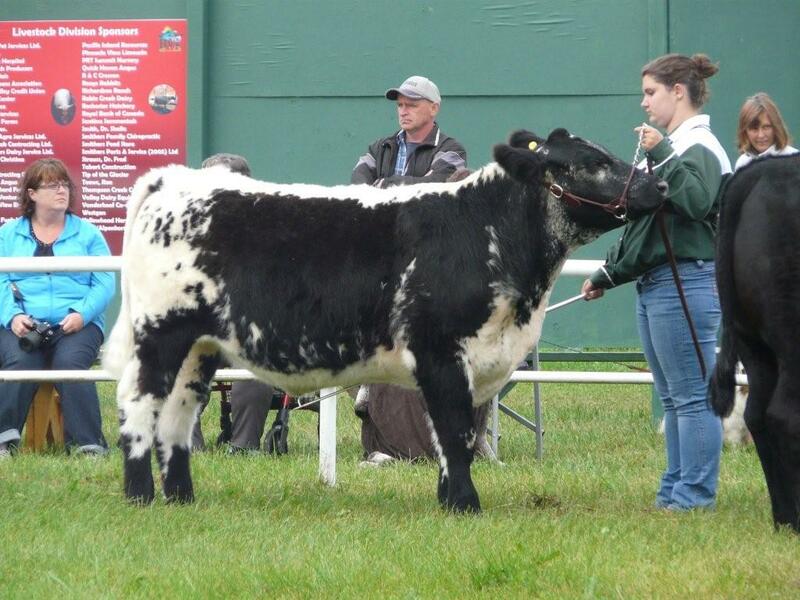 This year she will be doing her yearling foal project, as well as her Market Steer and Heifer. 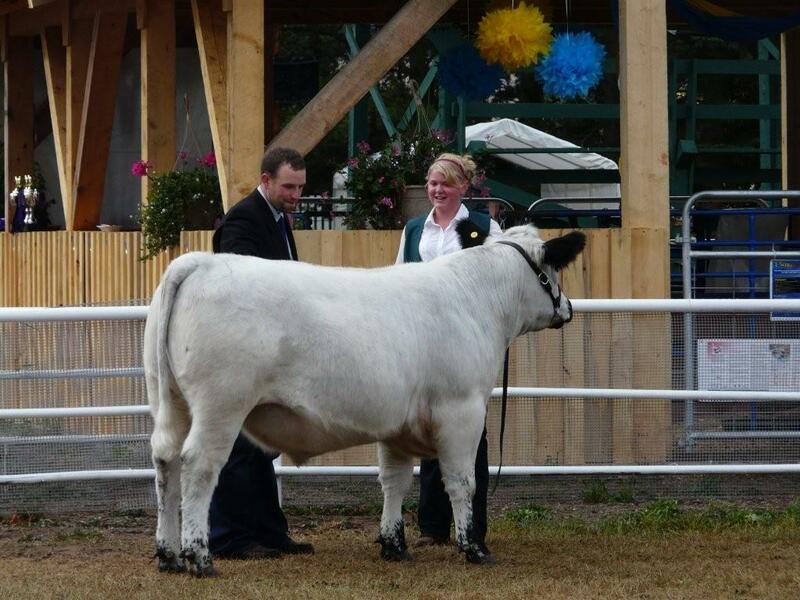 Jessie will also be showing our Diamond K cattle in the Open Cattle shows in 2013. 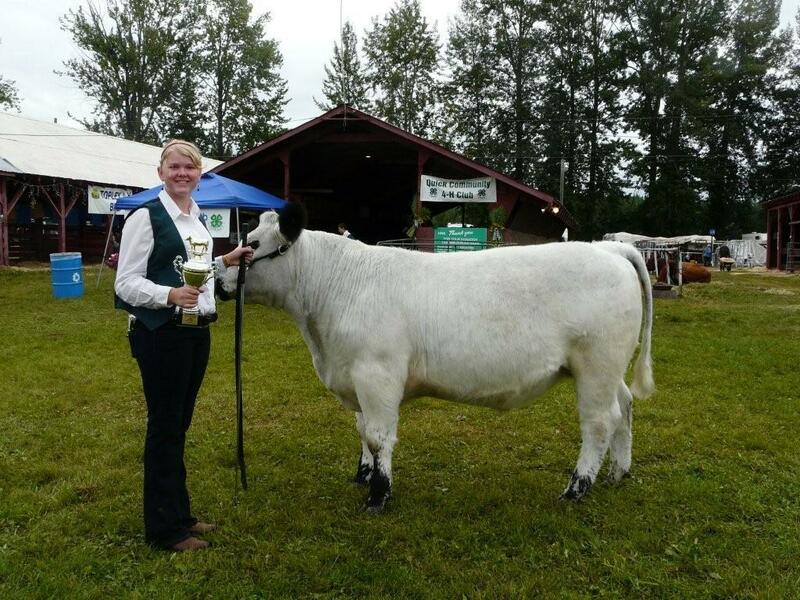 Leanne is a 4-H Leader with Quick Community 4-H Club and is also on the British Columbia 4-H Council as a representative for the Yellowhead Region. Please feel free to check out our for sale page for any possible 4-H projects available from our farm. Please contact us for assistance in locating your 4H animal. We have a list of people who will have steers/heifers available for the 2014 4H year. 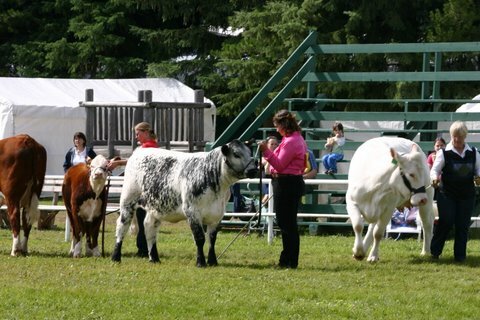 We are proud that our Canadian Speckle Park Association is also such a strong supporter of 4-H. Check out the Association website for more information. 1st in her market weight class. Congratulations! 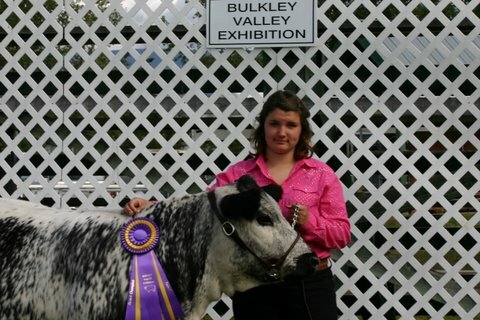 BULKLEY VALLEY EXHIBITION 2012. LOOKING GREAT GIRLS! 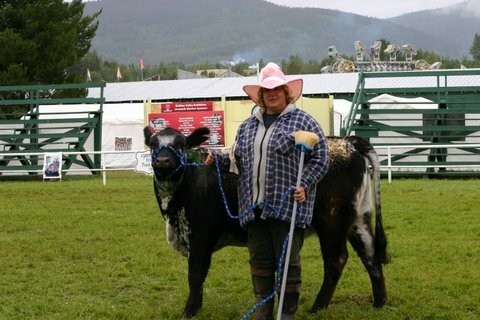 Our daughter Jessie and her Speckle Park X Red Angus steer that she sold at the 2011 4H auction that took place at the 92nd annual Smither’s Exhibition. 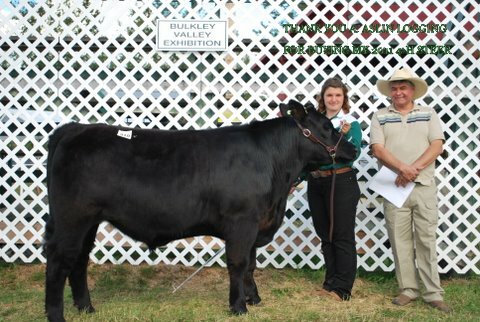 Jessie and her heifer that we purchased at the 4th Annual Hill Country Classic. This picture was taken right after they won Grand Champion Heifer. Lining up for the placing in the All Other Breeds Class. 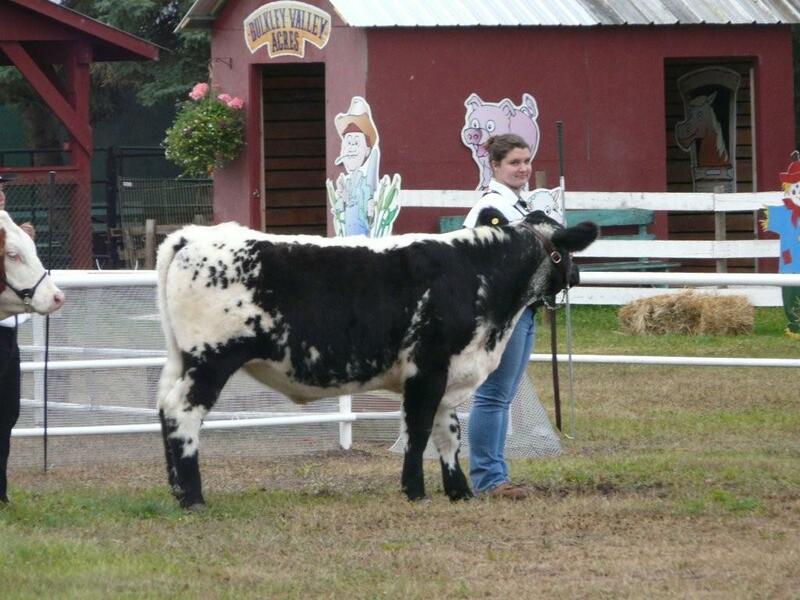 Jessie getting her heifer Skittles ready for the 2009 Smithers Fall Fair and 4-H show. 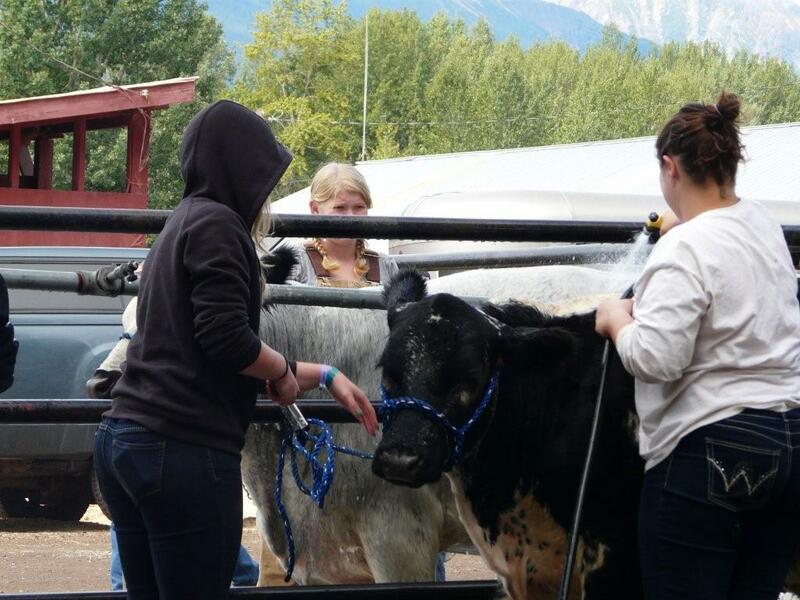 Jessie getting freckles ready for the 2009 Smithers Fall Fair and 4-H Show. 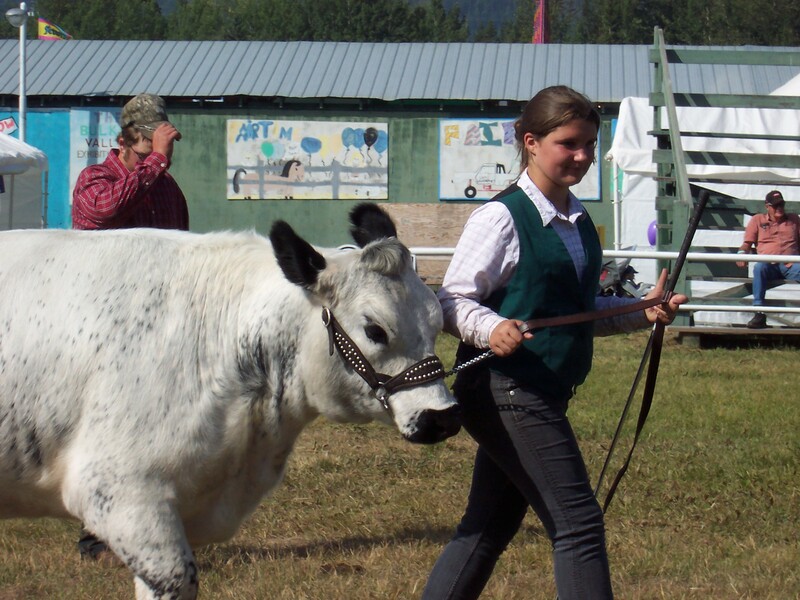 Jessie and her cow project Freckles in the show ring at the 2009 Smithers Fall Fair and 4-H show. 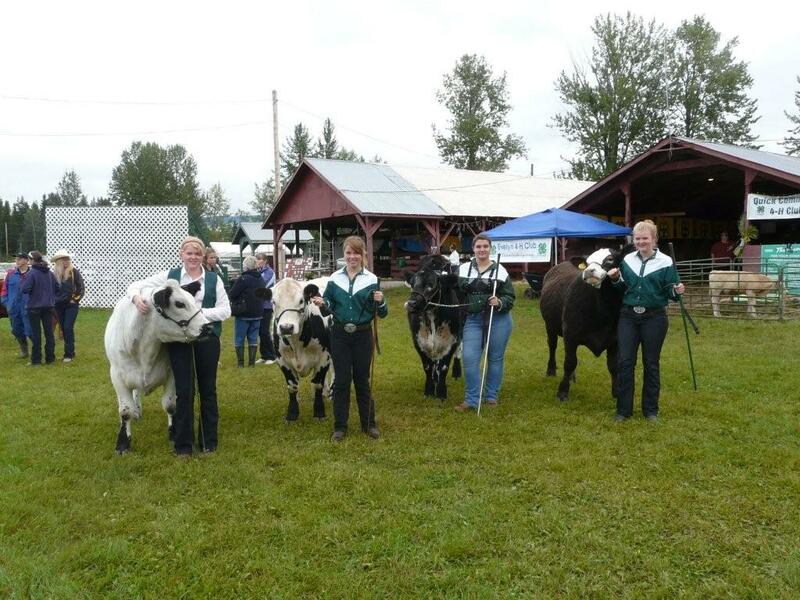 Great to see your cattle in 4-H, it’s such a great program for kids!